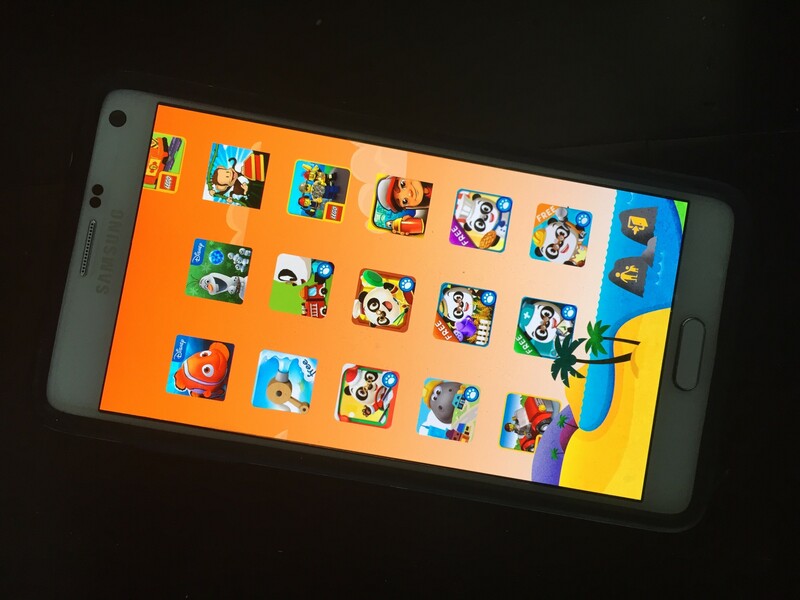 Once we got Kid’s Mode on the Galaxy Note 4 figured out, the biggest question was what games do we download? We have two boys, age 2 and 4, and here are a few Android Kids Games that they love. Monkey Preschool. Our boys absolutely love this game, especially our two-year old. Our four-year old still plays it every once and a while, but it’s mostly for kids 3 and under. Anything Dr. Panda. Many of them are free and there’s enough game varieties to keep them moving from one app to the next. Airport Panda and Chef Panda were the standouts. Hoopa City is a great option as well. It’s like Sim City for four-year olds. Anything Lego. There are a ton of age-appropriate Lego games available. For their age, the boys love Lego Juniors and Lego Duplo. We just download the Duplo train one that they both enjoyed. Cars: Fast and Lighting. We watch Cars about 5 times a week and this is the perfect accompaniment. Anything Angry Birds. The kiddos are a little to young to figure it completely out, but they still enjoy it. Since I have an iPhone, there are a number of different options that I’ll highlight in our next post. Cheers! Sorry, Roy, but I don’t have a solution for you on that one.